Hi Tech Cleaning Services, provide excellent window cleaning services to the Waterlooville area. Our window washing services are offered to both domestic and commercial properties. 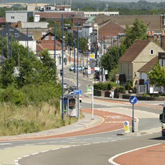 Waterlooville is a town in Hampshire, England, approximately 8 miles north of Portsmouth. The village of Waterlooville began in 1815. After 1810 the forest of Bere was divided into plots and sold for building. By 1815 there were 5 buildings by the side of the road that ran through it. 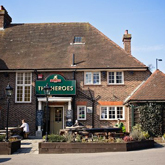 One of these was an inn called the Heroes of Waterloo, after the battle that had just been fought by Wellington. The new settlement was called Waterloo after the inn. In the 1970's Portsmouth City Council built 2 'overspill' council house estates at Waterlooville. One of these was built at Crookhorn. Another was built at Wecock Farm. Between 1971 and 1984 it grew by 50% to over 3,000. In 1983 Waterlooville inner relief road was built. 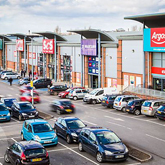 London Road shopping centre was made a precinct in 1985. Although the area grew very rapidly a green belt was left between Waterlooville and Denmead but this is now under threat. Denmead is growing rapidly and the land separating it from Waterlooville may disappear. 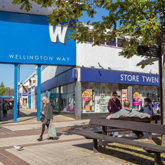 The Purbrook, Waterlooville-Cowplain-Horndean area now has a population of about 30,000.